Nails Inc and Colgate recently got together, when you bought the toothpaste you got a free nail polish. 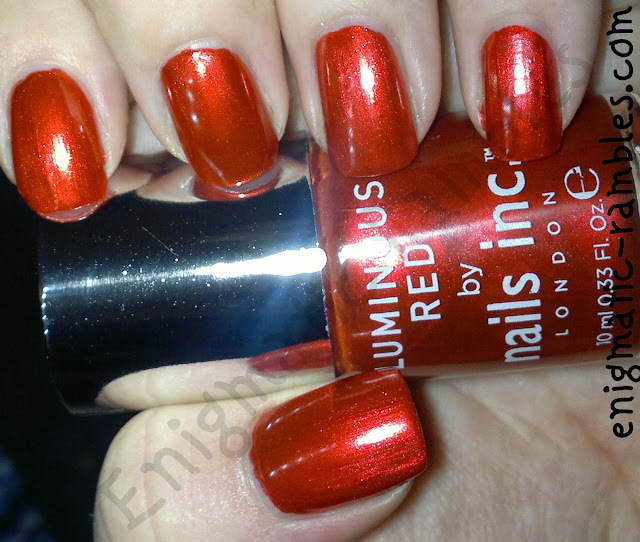 There were two polishes to choose from, a Matte Red and this a Metallic Red. This is also an exact dupe of Nails Inc Roland Gardens. I had a quick look through my collection and found I don't actually have any polishes this colour which is always good! Neither of these other polishes I seem to have swatched properly. 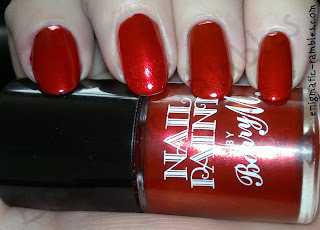 A polish which I think is very similar to this one is Barry M Retro Red Lady in Red. Was just wondering if you ever have an issue with Leightons be my berry bubbling up on the nail? I recently bought it and have found that it bubbles slightly no matter how I apply it etc.